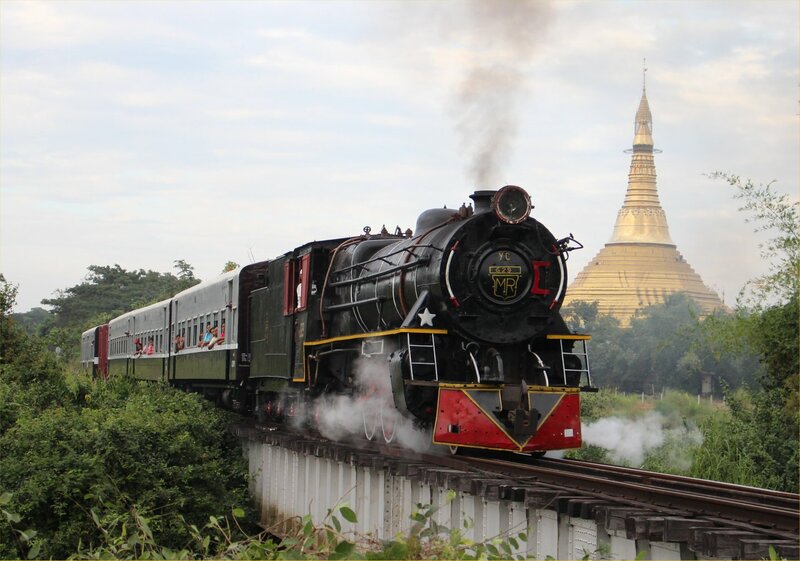 The one spot not to be missed on the line between Bago and Pyuntaza, where a huge stupa provides a stunning backdrop to the railway, eluded us yesterday. Our second train of the day, hauled by YC629, was a late addition to the itinerary that would give us a chance to rectify this. 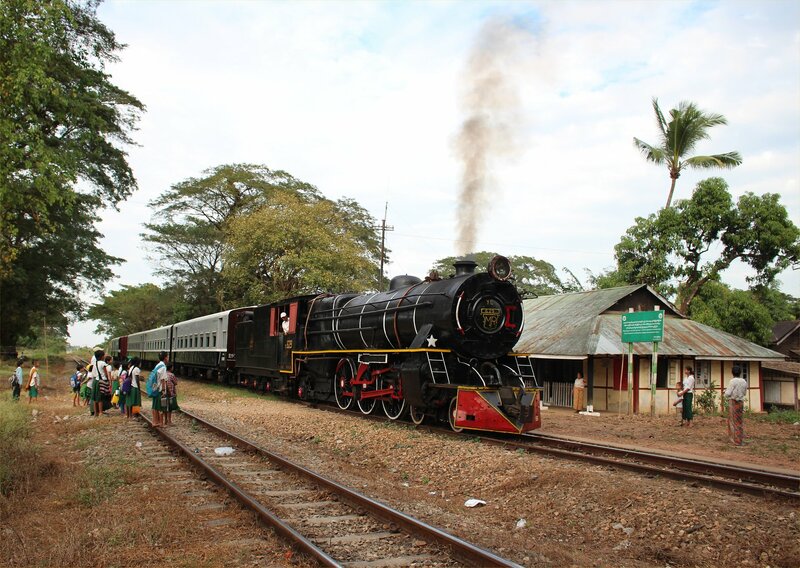 After arriving at Payagyi at 3.25pm we enjoyed arrival and departure shots at the station before heading down the line for the classic shot. We seemed to have timed our visit for hometime at the local school so the track was lined by awe-struck school children who looked on in amazement as this steam giant headed towards them. As steam ended here in the spring of 2008 it is quite unlikely that any of them will ever have seen a steam locomotive in real life. The classic shot had become a little obscured in the decade since the last railway tour here so a little bit of gardening was required to clear the view of the bridge. 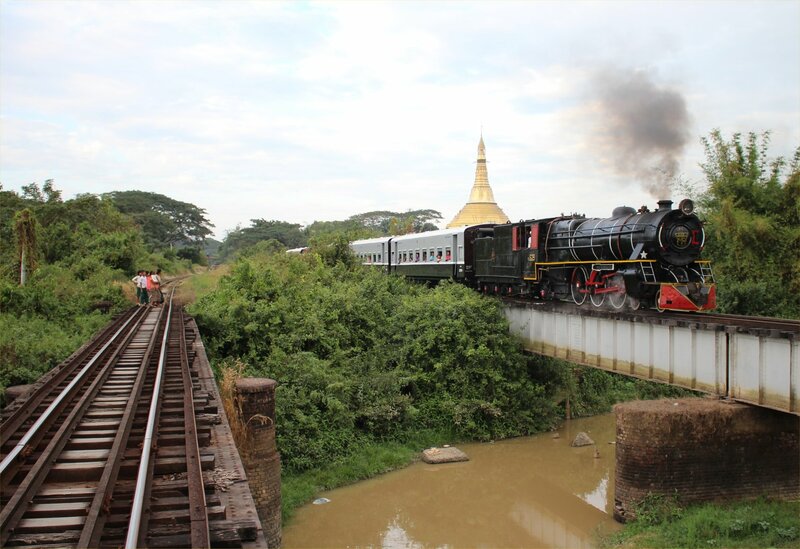 It was well worth the effort as it really captures the wonderful combination of the beautiful Burmese scenery with the railway legacy of the colonial era. Two runpasts gave us ample opportunity to give the shot our best efforts. 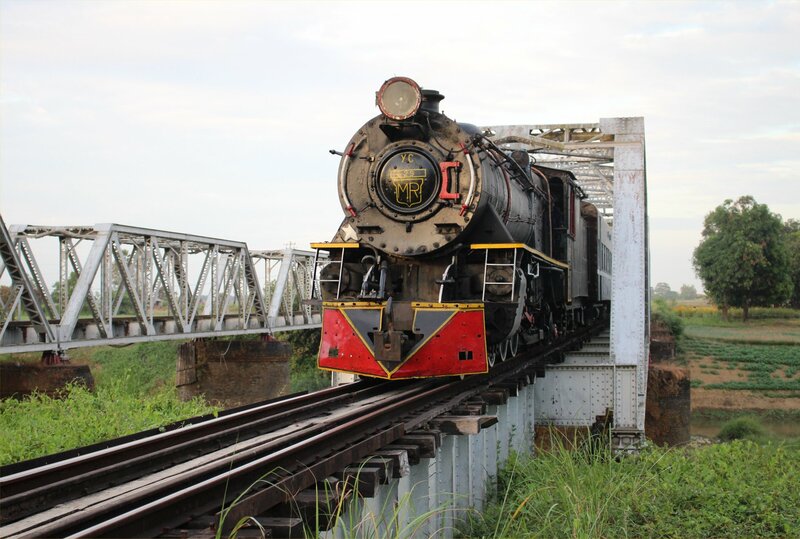 We re-boarded our train at 4.25pm for the ride to Bago, passing through Shwehle (4.50pm) en route to a box-girder bridge over the Bago river where we spent about half an hour (5-5.30pm) trying to make the most of the last light of the day. 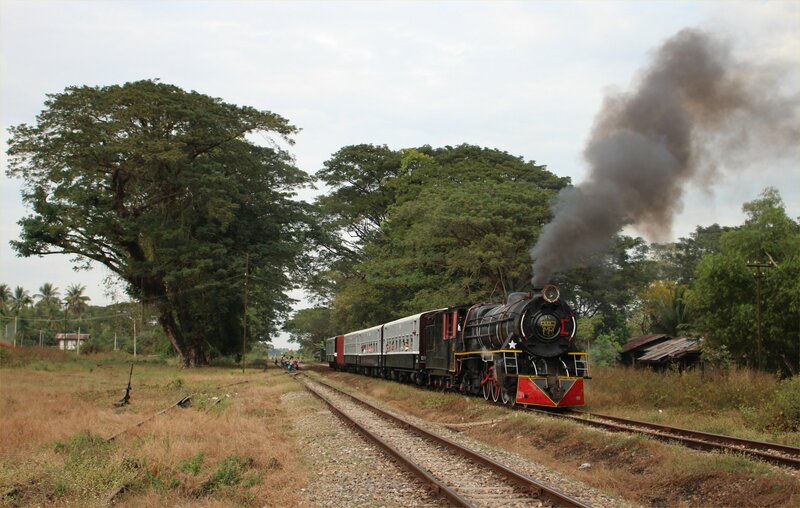 Our train reached Bago at 6.15pm. It has been a thoroughly enjoyable day, despite the absence of blue skies, with everything running incredibly smoothly. Once again it was rounded off with a superb array of food at Royal Taste (Bago). Tommorrow we head away from Bago, beginning the three-leg journey towards Mottama.